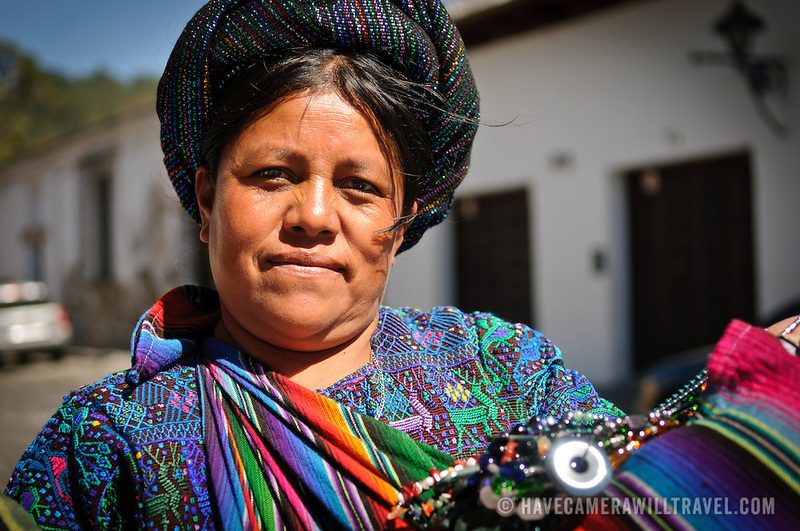 A woman shows off her woven textiles for sale on the streets of downtown Antigua Guatemala. Guatemala has a very strong traditional of weaving. Famous for its well-preserved Spanish baroque architecture as well as a number of ruins from earthquakes, Antigua Guatemala is a UNESCO World Heritage Site and former capital of Guatemala.